Here's a complete guide to trading cryptographic currencies such as Bitcoin & Altcoins, tailored to suit both beginners and advanced traders, whether you're familiar with or new to cryptocurrencies. I hope this post and other material on my blog and twitter teaches you how to approach trading markets such as Bitcoin and Altcoins, provides you with valuable, practical, and effective tutorials and insights that is easily understood and applied, and enables you to develop a profitable trading strategy that is tailored to your personal requirements and risk appetite. Before we get into trading, let's go through the basics of what Bitcoin actually is, as a technology, as an alternative to FIAT currencies, its implications, and what makes it a potentially revolutionary technology. How are digital currencies created? Just like physical currencies, digital currencies like Bitcoin don’t just pop into existence; they have to be made. In physical currencies, paper bills are printed and coins are minted by government agencies, then distributed into the banking system. In the same way, digital currencies must be created and distributed to users. For a digital currency like Bitcoin, the currency is created by a software application. This software runs on each computer connected to the Bitcoin network. All of the computers connected to the network work together, sharing the complex calculations necessary to create each Bitcoin, and a certain number of bitcoins are created each day. This process is called mining, and is not free, as it costs computer power and electricity. To compensate computer owners for their work, bitcoins are paid to the software users connected to the network. How are balances kept and transactions processed? Just like at your bank, your account balance and transactions are stored on a server. At your bank, the bank owns the server. But, as a digital currency, Bitcoin's account data resides on a peer-to-peer (computer-to-computer) network that consists of all the computers logged into the network. This allows for additional security as there is no single server that hackers can attack, and each transaction is verified by all the computers on the network. Just like logging into your bank account with your browser, you can see your Bitcoin balance and spend it using a Bitcoin Wallet App. The wallet gives you all the info you need, just like using your browser for banking transactions. The Wallet App is available in several versions: Online, MAC, Windows, Android, and IOS. "Bitcoin is not governed by political whims, instead it is governed by the laws of mathematics. 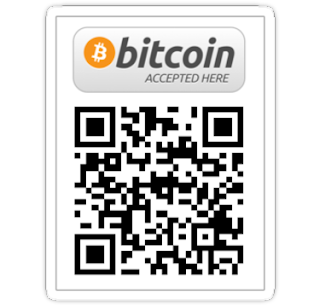 Its source code uses advanced cryptography to secure the network and regulate the process of new Bitcoins created. The source code is completely open source, which means anyone who understands coding language can review it. Nothing is hidden. When you purchase Bitcoin, your money is locked on the public ledger and can be accessed anytime with your private keys. For this reason, there is no limit to how many Bitcoins you can send or receive, and there is no third party that can restrict your Bitcoin transactions. Financial institutions cannot counterfeit or arbitrarily create more Bitcoins because the core protocol of the blockchain times the flow in which new coins are created." He goes further to discuss decentralization and how Bitcoin puts the power back into YOUR hands. "Usually all our money or data is stored on centralized servers, which requires trust in a third party. Traditionally, when your money is in your bank account, your bank's servers are a single point of failure to be attacked, which makes your data extremely vulnerable. In a decentralized network, information can be broken into pieces and encrypted. This creates multiple points that need to be attacked in order to access information to take down the network. Bitcoin truly is a revolutionary technology that is changing the rules of society. Now is the time to take a couple of steps ahead of the herd and place yourself on the cutting edge of this transformation. I promise it will pay off. With that many advantages Bitcoin offers, the market is growing exponentially. The growth creates massive opportunity for traders. Opportunities like this don't come around often, and I hope you are beginning to see the very potential Bitcoin has created." "And while you may have heard about the opportunity to profit from mining, for small scale operations it is actually cheaper to buy Bitcoins than it is to mine them. Only major industrial operations can make money from mining. By far the easiest and most profitable way to make money in this industry is by trading Bitcoin with an effective strategy. This requires no setup expense whatsoever -- all you need is a strategy that works. And we have a proven strategy which we're willing to share with anyone who's serious about learning it." Buying Bitcoin opens up the doors to trading - bitcoin itself is a tradable asset against the USD and other currencies. As a result, being involved in Bitcoin naturally introduces one to trading markets, because from the offset, the price volatility creates the need for users to make a bitcoin purchase at a favourable target price. Therefore it is crucial that you learn the basics of trading and arm yourself with the necessary skills to maintain or even grow the value of your investments. Chris Dunn, one of my favourite trading gurus and experts in Bitcoin Trading recently sent me a copy of his book, titled "Bitcoin: How to Trade it for Serious Profit (Even If You're A Complete Beginner)". It's a really good read with very practical strategies and easy-to-apply techniques that you can use today to improve your trading. He also has a ton of training material and useful resources about trading strategies and market calls, and I highly recommend you check out his work on his website, youtube and twitter accounts! I'll be using some his material for this portion of my post, because honestly, I can't think of a better way to say it than the way he did. So here goes; I compiled what I think is the most important and applicable concepts that you ought to know for trading Bitcoin and cryptocurrencies, which can also be applied to trading any other market. "Trading is about making emotionless decisions to buy or sell an asset based on probabilities. Just like a casino knows the odds are in their favour, professional traders use strategy and risk management to tip the scales in their favour. Trading is a zero sum game. Every trade has two investors taking opposite positions on the price -- one on buys, the other sells. Because of this, someone is bound to lose. When two people agree on a price, a trade is executed and the market valuation is set. Usually buyers set orders lower than people who want to sell. This creates 2 sides of an order book between buyers and sellers. When there are more buyers than sellers the prices goes up, and when there's more sellers than buyers the price goes down. The constant exchange of prices forces the market into periods of equilibrium followed by bursts of volatility. Many people think the only way you can make money trading Bitcoin is to buy low and sell high. But that's only half the equation! You can long, or you can short. When you long, you're betting that the future price of Bitcoin will be higher than your original position. So you're BUYING Bitcoin. When you short, you're betting that the future price will be lower than your position. So you're SELLING first with the goal of buying back at a lower price in the future. Find the trend early. At any given time, the market is only doing one of three things: trending, channeling, or breaking out. Markets don't go straight up and down. A trending market is when a market is stair-stepping up or down. The easiest type of trade for most people to take is a "trend trade". Reading the Markets. Price charts are very simply the visual representation of the actions of all market participants. In other words, there's no magic behind the bars moving up or down. Rather, the driving force behind price moving up and down is the buying and selling actions from all traders. Sometimes, market prices show signs of a general trend. A bull market happens when prices progressively increase, and a bear market shows a steady decline in value. The movement in price is generally referred to as price action. Looking at the swings in price and interpreting it for patterns is called technical analysis. New traders should learn the ropes first before trying to grow their accounts with leverage. Also, you shouldn't trade with money you can't afford to lose." Here's a little history lesson about Bitcoin's price since inception. Bitcoin has been through several price bubbles, characterized by exuberant buying into a parabolic price structure, and eventually correcting back down quickly and crashing over 80% from the peak over a short period of time. Over the last 8 years since Bitcoin was created, it has gone through about 3 notable bubbles, first when it climbed from under $0.01 in early 2010 to $0.80 in November 2010 and then to $32 in July 2011 before the bubble burst, sending price on a downtrend for 2 years and hit a low of $2 at one point. Our second bubble came in April 2013 and coincided with the Cyprus financial collapse, where we saw prices break above the previous high of $32 to about $260, before crashing down to about $50. And the third bubble came later the same year, where prices peaked at $1200 in November 2013. "Just like any world-changing market or technology, Bitcoin has gone through several crash and boom cycles in its history. It's the normal process of "price discovery", or finding the fair market value of a new asset." In 2016, you have probably heard a lot more of the term "Blockchain" than "Bitcoin" itself. The Bitcoin blockchain refers to an electronic ledger that records all transactions that take place on the Bitcoin network, that is fully open-source and transparent. There are more applications for blockchains than just money, and the fact that the blockchain can bring about revolutionary improvements to our current processes and systems is only now starting to be understood by companies and individuals at the forefront of technology and embracing change. Bitcoin and its underlying blockchain technology is becoming more widely accepted, and is currently being tested by various corporate institutions including a group of big banks and a consortium called R3, and even accounting firm Price Waterhouse Coopers (PWC). Not to forget about the exponentially increasing number of merchants, including big names like Overstock and Microsoft, that are now accepting Bitcoin as an alternative form of payment to credit cards and cash. Third thing to consider is that Bitcoin turns 8 year old in 2016. Based on the Bitcoin algorithm that determines its fixed money supply and schedule of distribution, the amount of coins that is added into the network halves approximately every 4 years, or more accurately, every 210,000 blocks with each block estimated to take 10 minutes. The next supply halving will happen in July 2016 (source: http://bitcoinclock.com/). #Bitcoin still on track for #moon. Consolidation at $382-$400 before climbing towards a break of $500. Chris Dunn shares his strategies in this insightful presentation on Trading & Investing in Bitcoin. Watch it on youtube in the link below. The liquidity of the Bitcoin market is only a small fraction of real world money markets such as Forex, Gold, Oil, other commodities, and Indices like the S&P 500 Index (SPX). However, the number of coins that fall into this category only make up a small proportion of the total population of altcoins in existence. The altcoin market is made up largely of illiquid cryptocurrencies tradable against BTC, and sometimes other units of currencies such as the USD, LTC, or XMR. With that said, there are also several top tier alternative cryptocurrencies that are sufficiently liquid, enough to trade it without too much worry, as I have shared above. There are also less liquid coins which usually have less than 25 BTC or even 10 BTC trading volume per day, but also have potential for greater gains even though you will be limited to investing 1-2 BTCs due to the liquidity of the coin, and you'll have to keep a much closer watch on them. Keep in mind that the lower liquidity a market has, the higher the risk associated with it. Trade altcoin markets that have significant volume. With altcoins, trading volume is a must. As a rule of thumb, don't trade an altcoin market that has a 24 hour volume under 10 BTC, or up to 50 BTC if you're more risk adverse. A market with little trading volume is easily manipulated by insiders, pumpers, and bigger traders. Stick to the liquid coins and you'll have an extra layer of protection. Trade altcoins that have community support. Trade altcoins that offer innovation over existing coins. The altcoin market is one of the most inefficient markets out there, so there are many profit opportunities that you can take advantage of, but this also requires a large amount of time and effort to research and spot such opportunities. Forget all that you currently know about trading. Only two things can happen in a trade, either the price goes up, or it goes down. Simple as that, and everything else is just a matter of perspective. You will need to first decondition yourself from any prior understanding of trading, and undo any bad habits you have accumulated. The following chapters, especially about the technical analysis framework that I'm about to teach you is designed to decondition your mind to see price action and charts for what they simply are; a representation of human behaviour, while price is simply put; the perceived value of a stock by its market participants. Keep these very important points in mind as you read the remainder of the post. With the right state of mind to maintain your discipline, a keen interest to learn the ropes, and the willingness to work hard and put in 100% effort, anyone, even you, will be able to become a profitable trader after learning and applying the skills taught in my blog and especially this post. Here's a quick summary of how to approach trading cryptocurrencies like Bitcoin and other altcoins like Ethereum (ETH), Dash (DASH), Monero (XMR), MaidSafe (MAID) or Factom (FCT), and many others. Even for beginners, this should give you a good idea of what goes through my mind as I plan and execute my trades, and how technical analysis can be effectively applied to trading. And at the end of the post, I'll discuss about developing a trading strategy that is both effective and tailored to your own style. I personally stick mostly to high market cap coins and those with higher liqudity, because risk is much lower with such coins. For example, I think that Ethereum will never drop back to ATL at least not for the next 6 months, although when the pump is actually over, it should drop about 70-80% or more. That said, I also use a small portion of my funds to dabble in higher risk trades with low liqudity coins, provided they meets certain requirements. In terms of how long I hold each trade, only because of the current market condition and environment being a hotbed for pumps, I've been buying some coins and holding them for anywhere up to 2-3 months. While some trades can last a short few minutes to a day or two. Generally, I feel comfortable holding about 3-5 altcoins at once, although it is common for me to now have about 10 different altcoins at one time. Personally, having more than 5 becomes rather difficult to handle so I always try not to spread myself too thin and manage too many different trades at once. To give you a better idea of how to know when to exit your trade, or set targets and take profit, I'll discuss my MaidSafe trade in greater detail. When MAID pumped hard past 17k (previously ATH), the large volume indicated that there was good momentum behind the pump, but I also knew that it had to top out somewhere because parabolic moves generally don't end well. So I did a Fibonacci Extension from previous ATH (17k) to the bottom (4k-ish), which gave me two exit targets: 50% Fibonacci Extension was at 25k and the 61.2% Extension was at 31k. I then placed some sell orders at 25-26k and 30-32k. As buyers chomped at my sell orders, I managed to unload about 1/3 of my total holdings with my 25-26k orders, while I remained open to both possibilities; that this was either the top, or it'll continue to break ATH and head towards my next target of 31k. At this point, I watched the price action of MAID closely, looking out for a big fat red candle with large volume which is commonly referred to as an "exit candle" and indicates the end of a pump. True enough, I soon saw the big volume red candle, and made a quick decision to sell everything so pulled all my higher sells and sold off some at 24k. Prices then went below a critical support, which was my confirmation signal for a trend reversal and the beginning of a downtrend, so I just waited for it to bounce back to 24k-ish before I dumped the rest of my coins. All this took only about an hour or so, from when it peaked at 26k, to the point when it broke below 24k. MaidSafe eventually went on to make a new ATH of 29k, and is currently consolidating in a healthy range, with potential for another move up. This was the exact same method I used when trading Monero (XMR) to determine a target of 300k satoshi; my point being that it is definitely replicable, and even you can, with enough training be able to identify such signs and know how to act on them accordingly. Refer to my tweet and charts below regarding the big volume red candle and critical support I mentioned above. Kinda getting the hang of how $BTC profits flow into and out of the Altcoin markets. Ride the waves & profit! Some trades I hold for hours, some for days, some for weeks and even months. Keep in mind I'm only holding so long (weeks to months) because of current market condition (being that BTC is just starting its bull run). In a downtrend, you will want to be largely in USD/FIAT, because although opportunities to profit from buying an altcoin will also be available, it will happen at a much lower frequency than today. When asked about how to know which altcoin to buy, when to sell it, or the classic "how to become a better trader", this is my usual reply: It's a combination of a complex and inter-related web of factors, including understanding the market crash cycle structure, learning about the different phases of the emotional cycle, analyzing price action, understanding price structures that represent various phases of a crash cycle, such as accumulation, distribution, pump, dump, and how they look like. To keep things simple, you should look at 2 things only, price action (candlesticks or others), and volume. And of course, context is always important, e.g. what coin, what is the situation of the development and new projects, of the environment etc. I will discuss these technical and fundamental analysis frameworks and tools in this and the following chapters. For now, here's a generalized idea of how the Altcoin markets as a whole has been performing since mid 2015 to now. Since that time, several altcoin markets have moved up a couple of legs; some breaking ATHs, some breaking multi-month and multi-year downtrends and major resistances, mostly getting ready to continue on this recent bullish uptrend, fueled by a fresh influx of funds currently flowing across different altcoins in waves. With the Bitcoin halving just around the corner, it is safe to say we have at least another 3 to 5 months of bull market action in the Bitcoin and Altcoin markets that we can capitalize on. From my personal analysis, altcoin markets in general bottomed out in tandem and have progressively moved up since September 2015. You can see how various altcoin markets bottomed out around September to December 2015, and began to form an uptrend in early 2016, and we're currently at the foot of a major bull market waiting to erupt. This can be represented as one whole market or Cryptocurrency Index, if you will, as in my two charts below. As I discussed in the introduction chapter of Altcoins Markets & Trading, perspective is everything, and I highlighted the importance of concepts such as market structure, crash cycles, market psychology, fractals, and the environmental conditions, as a framework for analysing charts and price action. IMO, this is the single governing framework behind TA, and we’ll discuss this in greater detail in this chapter. To understand trading, you first need to understand the anatomy of a Market Cycle and the Crash Cycle, so that you can identify a pump before it happens, and know when the party has ended, so that you can potentially profit from it. Another important concept is Market Structure, and being able to identify the price action and patterns that are unique to each of the various phases of trading, including accumulation, distribution, markup, markdown, breakout, consolidation, retracements, corrections, etc. Another concept to understand is the driving force behind price movements. "Whales" is a term used to represent individuals or groups with large amounts of funds used for trading, and sometimes also take on the role of a "Market Maker (MM)". Whales play a big part in any trading ecosystem, and are also present in the Bitcoin market and even in Altcoin markets. They contribute to a large portion of the trading activity, decide how high or low prices go, and also decide when the market will move and in what direction. Armed with the knowledge of how whales conduct themselves in the market, and the technical analysis framework they use to manipulate the markets, you can profit by identifying smart money and analyzing their intentions. Therefore, it is imperative that you know how whales operate in the market, and you can learn a good deal from our dear friend Wolong in his eBook about "The Game of Deception" that is trading, and trade with an understanding of the market crash cycle, as illustrated by the "Psychology of a Market Cycle Wall Street Cheat Sheet" below. Another fantastic resource is this library of video tutorials by The Inner Circle Trader, commonly known as ICT. His in-depth videos cover everything a trader needs to know about conducting himself in the market, ranging from the basics of trading and forming a strategy, to technical analysis tutorials from the market marker's perspective. Check out his work on his website here! You can never predict for certain exactly where it'll top. In fact, you should never try to predict it baselessly, but rather you should let the price action tell you the answer. If you refer to the "Psychology of a Market Cycle" chart as above, this is IMO one of the most important frameworks for trading, and you can find this market structure or fractal everywhere. When pumps end, it'll always look like euphoria to complacency stage. The key here, is to look out for high volume price action. If the dip between euphoria and complacency stages has a bigger volume bar, than compared to the euphoria top volume bar, then you might want look for an exit. Of course this is just a general guideline that only considers one aspect of a trend reversal, when in reality many more factors contribute to it. That said, this is still one of the key ways to determine that a bullish market has exhausted. As discussed in the insights chapter above, it's crucial to know the exit signs that signal the beginning of a dump; a high volume pump, followed by even higher volume dump; the big fat red candle. Read my old blog post about Market Cycle, Market Cycle, and Manipulation for a more in-depth discussion about this topic. Trading is very simple; the price goes up and it goes down, that's it. But when you go to 9 different math experts, they can all tell you the answer of 1+1=2. Whereas when you go to 9 different trading "experts", nobody can tell you the same answer as to whether price is going up or down. Why do you think that is? Every trader has their own strategy and trading rules, resulting in very different analyses of the same chart. To take an example from The Matrix, "it's not the spoon that bends, it's you that bends." Why do I say that perception is everything? Charts are simply a representation of human behaviour, and price is the perceived value of a stock by the market participants. Always take this at face value and put all your perceptions and emotions aside, so that you can plan and execute your trades objectively, instead of allowing emotions and the comments of other people to affect your trade. Trading is a zero-sum game, that is, for one to win, someone else has to lose. It's also worth knowing that all markets are manipulated, and like Wolong said, this is all but a game of deception. Market makers are present in every market, which also makes "whale watching" and "following the smart money" a viable strategy for trading any kind of market. Why is Mass Market Psychology and all of this relevant? Because there's only one thing common among all markets -- people. The Pareto Principle, also commonly known as the 80/20 rule, applies to many aspects of trading. For example, 80% of traders end up losing money, 80% of the wealth is held by 20% of the participants, and 80% of profits should come from just 20% of your trades. In a similar fashion, I agree that trading psychology + money management are the 20% which is responsible for 80% of trading success. This principle can also be applied to your trading strategy, where you should aim to eliminate 80% of your trading losses by avoiding emotional or impulse trading, day-trading during important news-release times and chasing entries. Read more about the Pareto Principle and how it applies to trading here. The lesson of the story? There is value in scarcity. More specifically, information is only valuable when it is scarce; as more people know about a piece of information, the value of the information decreases. If you're serious about trading to make a sustainable income, start reading through all my blog posts, especially this post about Market Manipulation, Crash Cycle, and Market Structure. With all that in mind, let's go on to discuss Mass Market Psychology. Here are a couple of other insightful videos about Mass Market Psychology in Trading, by popular names like Mark Douglas, and Chris Dunn. "You can think of it as bull trends take the stairs up, and bear trends take the elevator down. One's slow and steady, the other is quick and violent. These predictable moves in the market are mostly created by human emotion. Fear is stronger than greed. People get greedier and greedier as the price moves up, but are quick to panic at any sign of danger. Because of this, markets tend to give back their gains in a fraction of the time it took for the bull market to play out. There is no single "right way" to identify the trend, but the two most important factors are price action and volume. Price action is another word for analyzing the movement of price on a chart. Volume refers to the amount of Bitcoins traded during that price bar. For a trend to be considered healthy, there needs to be steady price action with increasing or maintained volume. The key to being on the right side of the trade is to understand what the mass majority of people are thinking, and anticipate their next move. That's where the money is made in trading. As Warren Buffett says, "Be scared when people are greedy, and greedy when people are scared." Sell when everyone else is Buying. Traders like to wait to buy into a market once the trend is already cut and dry. The only problem is this is normally when the trend is near its peak. The best time to sell Bitcoin or Altcoin is when the price has a parabolic spike upwards. Once a trend starts to get stronger and stronger, hype sets in and price reaches an inflection point where the amount of buying is unsustainable. Just like we see with exaggerated panics, over exuberant bullish trends also end with a strong reversal." While understanding market structure, crash cycles, and mass market psychology helps greatly on a macro-level by providing an overarching framework with which to approach trading, the technical analysis tools such as Support and Resistance, are critical on a micro-level, in the planning and execution phases of trading, for example to determine entry and exit prices. Surprisingly after learning trading for 5 years, the most common tool I use is the most basic of all tools, the line and rectangle tools. I mostly look at support/resistance and volume to analyze charts and price action. So firstly, lets touch briefly on Support & Resistance. Although S/R lines are one of the most basic of tools, it is imperative that you learn it well. S/R is a crucial tool that you can use to determine your entry and exits, and mastering it can help you to significantly optimize your buying and selling prices, and seriously increase your profit margins. Here's an example of how I apply the fundamentals of Support and Resistance to trading altcoins, with my VanillaCash (XVC) chart below. Notice how I mark out horizontal zones which were either previous tops or bottoms, or had multiple rejections when price moved near it. The purpose of having these S/R zones in places is so that you know where price action is most likely to get rejected, and you'll be able to plan your entry and exits accordingly. If you'd like to learn more, here's a simple tutorial by Babypips about Support and Resistance, as well as another useful resource from The Forex Guy. Secondly, Volume is another important aspect of a chart and price action. It represents market interest in a particular stock, and higher volume relative to other trading periods usually represents higher volatility. Volume and breakouts also come hand in hand, so it is crucial you understand both concepts. To learn more, visit Investopedia's page about Using Volume To Improve Your Trading, and Tradinsim's 4 Simple Volume Trading Strategies. Learn about how to trade breakouts with Babypip's short tutorial. I'd like to highlight just one particular chart pattern that's pervasive throughout the cryptocurrency markets, has a high probability setup, and is highly effective. I'm not entirely sure what it's called, but it is similar to Bulkowski's Busted Tripe Tops chart pattern. What I've noticed over the last couple of months is that 4 times seems to be a magic number for breakouts. Notice how in the following charts, price action remains within a certain zone as boxed up in the photos below, and it challenges resistance at least 4 times before breaking out strongly. How you can trade this, is to buy towards the end of the rectangle, once relatively higher volume starts to kick in after a period of relatively low and stable volume. More recently, Digibyte DGB has also formed this area of consolidation, and is looking very similar to XEM before it broke above 200, as shown in the 2nd box as above. Will history repeat itself again? "We never know where the bottom is going to be, but there is always means of seeing signs of a recovery. Fibonacci can be used for targets after breaking ATH." I will not go into detail about these 3 advanced technical analysis tools, as I have already covered them in my blog post: How to Develop a Profitable Bitcoin & Altcoins Daytrading Strategy - Fundamental & Technical Analysis - An Intermediate Tutorial. For this post, I will instead focus on the Wyckoff Market Analysis tool. Wyckoff focuses exclusively on price action. Earnings and other fundamental information were simply too esoteric and imprecise to be used effectively. Moreover, this information was usually already factored into the price by the time it became available to the average speculator. Before looking at the details, there are two rules to keep in mind. These rules come directly from the book, Charting the Stock Market: The Wyckoff Method, by Jack K. Hutson, David H. Weiss and Craig F. Schroeder. Rule One: Don't expect the market to behave exactly the same way twice. The market is an artist, not a computer. It has a repertoire of basic behavior patterns that it subtly modifies, combines and springs unexpectedly on its audience. A trading market is an entity with a mind of its own. Rule Two: Today's market behavior is significant only when it's compared to what the market did yesterday, last week, last month, even last year. There are no predetermined, never-fail levels where the market always changes. Everything the market does today must be compared to what it did before. Instead of steadfast rules, Wyckoff advocated broad guidelines when analyzing the stock market. Nothing in the stock market is definitive. After all, stock prices are driven by human emotions. We cannot expect the exact same patterns to repeat over time. There will, however, be similar patterns or behaviors that astute chartists can profit from. Chartists should keep the following guidelines in mind and then apply their own judgments to develop a trading strategy. According to Wyckoff, the market can be understood and anticipated through detailed analysis of supply and demand, which can be ascertained from studying price action, volume and time. As a broker, he was in a position to observe the activities of highly successful individuals and groups who dominated specific issues, and was able to decipher, through the use of what he called vertical (bar) and figure (point-and-figure) charts, the future intentions of those large interests. An idealized schematic of how he conceptualized the large interests’ preparation for and execution of bull and bear markets is depicted in the figure above. The time to enter long orders is towards the end of the preparation for a price markup or bull market (accumulation of large lines of stock), while the time to initiate short positions is at the end of the preparation for price markdown. Before making a trading or investment decision, chartists need to know where the market is within its trend. Overbought markets are at risk of a pullback and positions taken with overbought conditions risk a significant drawdown. Similarly, the chances of a bounce are high when the market is oversold, even if the bigger trend is down. Selling short when market conditions are oversold can also result in a significant drawdown and adversely affect the risk-reward ratio. Wyckoff notes that an uptrend starts with an accumulation phase and then enters a markup phase as prices move steadily higher. There are five possible buy points during the entire uptrend. First, aggressive players can buy on the spring or selling climax. This area offers the highest reward potential, but the risk of failure is above average because the downtrend has not yet reversed. The second buy point comes with the breakout above resistance, provided it is confirmed by expanding volume. Chartists missing the breakout buy point are sometimes given a second chance with a throwback to broken resistance, which turns into support. Once the markup stage is fully under way, chartists must then rely on corrections, which can form as consolidations or pullbacks. Wyckoff referred to a flat consolidation within an uptrend as a re-accumulation phase. A break above consolidation resistance signals a continuation of the markup phase. In contrast to a consolidation, a pullback is a corrective decline that retraces a portion of the prior move. Chartists should look for support levels using trend lines, prior resistance breaks or prior consolidations. Alternatively, Wyckoff also looked for support or reversal signs when the correction retraced 50% of the last up leg. A downtrend starts with a distribution phase and then enters a markdown phase as prices move steadily lower. Note that Wyckoff did not shy away from shorting the market. He looked for opportunities to make money on the way up and on the way down. As with the accumulation and markup phase, there are five potential selling points during this extended downtrend. First, a lower peak within a distribution pattern offers a chance to short the market before the actual support break and trend change. Such aggressive tactics offer the highest reward potential, but also risk failure because the downtrend has not officially started. The breakdown point is the second level to short the market, provided the support break is validated with expanding volume. After a breakdown and oversold conditions, there is sometimes a throwback to broken support, which turns into resistance. This offers players a second chance to partake in the support break. Once the markdown phase begins in earnest, chartist should wait for flat consolidations or oversold bounces. Wyckoff referred to flat consolidations as re-distribution periods. A break below consolidation support signals a continuation of the markdown phase. In contrast to a consolidation, an oversold bounce is a corrective advance that retraces a portion of the prior decline. Chartists can look for resistance areas using trend lines, prior support levels or prior consolidations. Wyckoff also looked for resistance or reversal signs when the correction retraced 50% of the last down leg. The Wyckoff Market Cycle is a very powerful and practical tool that you can learn to improve your macro-level understanding of markets and price action. If you're interested to explore the Wyckoff theory further, check out Stockchart's introduction and tutorial to the Wyckoff Method, this detailed Stockcharts tutorial on Wyckoff Market Analysis, and also the idea of "Distribution Power Waves", an extension of the Wyckoff Cycle, which focuses more on wave analysis, much like that of accumulation and distribution analysis. In my most popular blog post about How to Pick & Trade the Next Profitable Altcoin: An Insight into What Goes Through my Mind, I go into great detail about the fundamentals of cryptocurrencies, other fundamental factors that affect an altcoin's price, popularity and success, as well as some technical analysis and trading tips to help you mould an effective trading strategy. The cryptocurrency space has changed tremendously in the 2 years since that post, so I'd like to make an update of the post, explore the fundamentals of cryptocurrencies and the various types of altcoins by grouping them according to their technical specifications and functions. When it comes to the fundamentals of cryptocurrencies, there are 4 overarching factors that contribute to the technical specifications, characteristics, and technological potential of a cryptocoin. There are more than 10 different algorithms used in the 1000s of cryptocurrencies out there, but I'll only focus on a select few. SHA-256 was developed by the NSA in 2001, and is the algorithm used to develop the first decentralized cryptographic currency, Bitcoin, as well as many others since. The SHA-256 algorithm is highly secure, and is used globally by huge financial corporations, and even for the launch codes for nuclear missiles. The downside of using this algorithm is the large amount of computing power that is "wasted" in mining Bitcoin. On the other hand, this enormous and growing computing power backing the Bitcoin network is also what keeps it secure from 51% attacks. Scrypt, as most of you should know, is the algorithm used in Litecoin. Scrypt is quicker and more simple when compared to SHA-256, making it much easier to run on a CPU and tends to use up less energy than SHA-256; as a result, it's favored by most individual miners. Read up on the difference between SHA-2156 and Scrypt in this article on CoinPursuit. X11 is a chained proof-of-work algorithm that uses 11 different rounds of hashes to secure cryptocurrencies and their transactions, namely blake, bmw, groestl, jh, keccak, skein, luffa, cubehash, shavite, simd, and echo. This makes it ASIC-resistant, and more secure to 51%-attacks. It has the advantage of a multi-hash system, meaning that in order for the algorithm to fail, all eleven of its hashes would have to fail at the same time, resulting in higher security of the network. Taking into account the very minute probability that even one hash would be broken, the chance of the X11 system failing becomes almost zero. Read more about the comparison of X11 with SHA-256 and Scrypt. X11 was first used in DASH (formerly DarkCoin). Blake-256 is a lightweight algorithm used in Blakecoin, and mining it produces a hashrate just under 3x faster on the GPU than compared to SHA-256. Energy efficiency is a primary advantage; mining Blake-256 uses roughly 3% less electricity than SHA-256D and roughly 14% less electricity than mining Scrypt. Blake-256 is also capable of generating considerably more hashes per second than most, if not all, other hashing algorithms. Read more about Blake-256 and Blakecoin here. Ethash is the algorithm used when Ethereum launched on 30 July 2015 with Proof-of-Work (PoW) mining. However, Ethereum has a mining period of only 16 months before it changes to a full Proof-of-Stake (PoS) network. I have shared some PoW vs PoS resources below for your reference. Lastly, zk-SNARK (short for "zero-knowledge Succinct Non-interactive ARgument of Knowledge") is the algorithm used in ZeroCash (ZCash) which is slated to launch in Q3 2016. zk-SNARK enables true decentralized anonymity when sending money. The algorithm allows for zero-knowledge proofs, i.e. you can prove a non-fact (you can prove something, without knowing what it is). For example, say I have the key, the network will run an agreed-upon arbitrary script to check the key is real, without any human learning the info about the key. This removes the middleman from the transaction entirely, while maintaining the integrity of the transaction such that there is no way either party can be cheated. The way it works in ZCash is I can prove I have the coins, without revealing my own address, the amount of coins or receiving address to the blockchain. What I mean by that is the network is able to prove something is true without giving away any extra information. Say you have a key for a game; it's a long string of characters, and someone wants to buy it off of you. You create a script that proves the key is valid, the script then is given to the network, and the network gives an address to each counterparty. You send the key, the other party sends a payment, and the network now acts as the middleman. The script then goes to the site of the game and asks if the key is legit. The site says yes, so the proof is returned true without anyone learning what the key is. The network then releases the payment to the seller, and the key to the buyer. If it returns false then the transaction is reversed, and at no point does either party get the address of the other person. It's a bit more complicated that that when it comes to ZCash, but that should give you the basic idea. A similar thing could be implemented on any blockchain using smart contracts, but only within the smart contracts - not the cryptocurrency itself. That's why zerocash is special and has to be made from the ground up. Shoutout to @Cryptopathic who helped me with this TL;DR on ZeroCash and zk-SNARK, follow him if you haven't already for awesome altcoin calls. I have explained this before in my old blog post, so I will not go into this in detail here. However, here are some resources for you to read up on if you're interested to understand the technical details of PoW vs PoS mining. Smart contracts and DApps (Decentralized Apps) have become a hot topic of discussion in cryptocurrencies especially in 2015 and 2016, ever since Ethereum popularized the idea. The possibility of smart contracts and DApps is also present in other alternative cryptocurrencies such as Expanse (EXP), and LISK which recently just competed its ICO and is slated to launch on 11 April 2016. According to Wikipedia, smart contracts are computer protocols that facilitate, verify, or enforce the negotiation or performance of a contract, or that make a contractual clause unnecessary. Smart contracts usually also have a user interface and often emulate the logic of contractual clauses. In short, as Ong from e27 puts it, a smart contract is a computer programme that automatically executes a contract between two parties. What is the difference between decentralized applications, dapps and smart contracts? According to Max Kordek of LISK, decentralized applications consist of the whole package of frontend (what you see of an application) and backend (the logic in the background). A smart contract on the other hand, consists only of the backend, and often only a small part of it. That means if you want to create a decentralized application on a smart contract system (i.e. not on Lisk the dapp platform), you have to combine several smart contracts and rely on 3rd party systems for the frontend. Wikipedia defines a smart contract as the simplest form of decentralized automation. It is a mechanism involving digital assets and two or more parties, where some or all of the parties put assets in and assets are automatically redistributed among those parties according to a formula based on certain data that is not known at the time the contract is initiated. A decentralized application is similar to a smart contract, but different in two key ways. First of all, a decentralized application has an unbounded number of participants on all sides of the market. Second, a decentralized application need not be necessarily financial. BitTorrent qualifies as a decentralized application, as do Popcorn Time, Tor, Maidsafe and Crypti (note that Maidsafe and Crypti are also platforms for other decentralized applications). New alternative cryptocurrencies that attempt to develop a working smart contract / DApp platform will garner strong support from the community. Keep a close watch for coins that fall into this category (as well as new launches), as they can potentially be highly profitable trades, provided you analyze, plan, and execute your trade well. Related: Are Smart Contracts The Future Of Blockchain? Instead of grouping coins by algorithm, we can also group them according to their "function" and "type of problem/solution". Here's a non-exhaustive list that you can use as a guide. PoW x PoS combination networks - PPC pioneer, Blackcoin also pioneered and popularized the turbo PoW distribution period into full PoS model. To stand out from the rest of the alternative cryptocurrencies, there should be practical real-world use attached to the coin. However, many coins lack this, while some have inherently flawed business models when you consider that most people would prefer to use BTC compared to an obscure Altcoin. Examples of coins that have some real-world value include XRP which is used as a transaction medium for financial entities, while GEO provides real world purpose to mining. Anonymity in cryptocurrencies is one of [if not] the most popular topics of discussion among the community. Although privacy and anonymity can be considered as a problem that altcoins are trying to solve, it deserves a whole section on its own due to the complexity of the topic. Furthermore, there's no correct method to implement anonymity into a system, be it on a protocol level, or a transaction level. As far as I know, Monero currently has the best working solution for anonymity, while DASH can be argued to be second; however, this will change when ZCash launches. I shall not go into detail about this, but instead give you a brief list of the various kinds of anonymity features used by different altcoins. If you're interested, I have linked a few resources about this topic below. Are there any true anonymous currencies? Fundamental analysis provides you with a framework for understanding how a cryptocurrency fares against other alternatives, but will not be able to tell you if it is a good buy or not. Prices are constantly moving up or down. Make no mistake; no matter how great the fundamentals of a cryptocurrency is, you will still need to fall back on charts and technical analysis to determine your trade entries. As a general rule of thumb, news is just a distraction and is usually already priced into the chart. However, this is not entirely true in cryptocurrency trading because most cryptocurrency markets are inefficient and information travels slower, compared to global money markets. I have previously discussed this topic in depth, in my post titled, How to Pick & Trade the Next Profitable Altcoin: An Insight into What Goes Through my Mind, so feel free to check that out too. I'll be repeating some parts of what I mentioned in that post, while also updating the information with knowledge I have gained over the last years. At this point, you might be wondering, so how are all these factors related to trading Bitcoin and altcoins? As a guideline, you should stick to only trading altcoins that have "strong" fundamentals, especially if you're new to the game. One way is to score your target altcoin on the 10 factors above, on a score of 1 to 10 and add them up, and see how that fares against other similar coins using the same method of scoring. alt.report has detailed qualitative reports on some altcoins whereby they score coins based on 6 factors, not unlike the factors mentioned above, that you can reference for your fundamental analysis. Coingecko.com also has a more macro-level quantitative scoring method where they consider well over 50 factors. Bitcointalk.org - for new coin launches, technical specifications of a coin, roadmap and future plans, developer activity and competency, community support and sentiment. Twitter - a great tool for understanding sentiment of market participants, following market leaders, and a means of communicating with the community. Also, follow my twitter list, Altcoin Wizards, made up of a select group of cream-of-the-crop cyptocurrency traders which you can learn from. Reddit - besides going to /r/bitcoin for news, /r/bitcoinmarkets and /r/cryptomarkets are also great resources for conducting FA and learning Bitcoin & altcoin trading. Tools - Charts, Coinmarketcap, TradingView/Coinigy/Cryptrader, apps like Blockfolio for tracking multiple cryptocurrency prices. Altcoins: Poloniex & Bittrex are the two leading exchanges, while Yobit.net has many newly launched coins or those with small market capitalizations and liquidity. Poloniex also allows for margin trading for 11 altcoins, giving you a good chance to short altcoins like ETH, XMR and FCT when they're on a downtrend. Bitcoin: Bitfinex for up to 3x margin trading, and OKCoin for up to 20x leveraged futures trading. BitMEX is a Bitcoin derivative exchange, with futures trading on Bitcoin (up to 100x leverage) and Ethereum (25x leverage). Global money markets: 1Broker and SimpleFX give you access to trade global markets including Forex, Indices, Commodities, and Stocks, while maintaining your balance in Bitcoin. For a guide to margin trading Bitcoin on exchanges like Bitfinex, read this post about Bitfinex from 2014 (still relevant today! ): A Beginners Guide to Margin Trading on Bitfinex: Why you Shouldn't be Trading on Exchanges. Another important consideration for cryptocurrency trading is to understand how environmental conditions affect a market. For example, late 2013 and early 2014 was a hotbed for altcoin pumps, as Bitcoin was leading the charge in the bull market then. Thereafter, BTC went into a 1.5 year decline which led to the downtrend extending into altcoin markets as well. Similarly, we're currently in an environment similar to that of 2013, and as this BTC bull market plays out, we should continue to see a sustained pump across altcoin markets at least for another 3 months leading up to the BTC halving. In this light, take note of how major media outlets portray a particular cryptocurrency, and consider how it will affect the market, so that you can analyze on a broad scale how healthy a market is. This last chapter will be about applying the framework, TA and FA to develop a personal trading strategy. I'll share 8 strategy tips for you to keep in mind when you develop your trading strategy. Some of you may be asking, what should one focus on while trading, and while learning to trade? Trading can be broken down into three major activities; learning, planning, and executing. After going through this tutorial, I hope I contributed to your learning process, and that you are sufficiently armed with the necessary knowledge to plan your effective trading strategy, and execute it accordingly. First of all, there are generally four types of trading styles, namely Day Trading, Position Trading, Swing Trading, and Scalp Trading. A comparison between the styles, including the pros and cons of each, can be found in this article by ForexFactory. In terms of trade execution, there are three methods of approach; accumulating, buying breakouts, and scalping. Accumulation generally has the longest holding period, while scalping has the shortest. In addition, accumulation will have a higher risk due to direction uncertainty at the point of buying, when compared to buying breakouts, even though the former will give you a better price. A common strategy used to approach trading is to "trigger fundamentally, and enter/exit technically". In other words, you should make a decision to trade a market based on a fundamental trigger, but rely on TA to determine your entry/exit. On the other hand, you can also approach it from the reverse way. First, look through charts to find potentially "good looking" charts that are in, or about to begin and uptrend. Thereafter, use FA to validate and justify making the trade, while eliminating potential trades that have poor fundamentals. To get a better idea, here are two short articles by Investopedia and FuturesIndexTrader. Risk Management - Never risk more than you can afford to lose, and never go all-in on a single trade. Money Management - Set a % limit of your BTC portfolio that you can afford on each trade. As a rule of thumb, most traders risk up to 2% of their portfolio on any single trade. However, this may be too conservative for trading cryptocurrencies, so you may want to adjust it according to your own risk appetite. In terms of execution, an important concept is to use multiple time-frames, or a top-down analysis, to analyze charts and price action. When trading, you always want to look at at least 2 different time frames; a larger one to get a better picture of the macro trend, and a smaller time frame to determine your entries and exits. Never be so focused on the short term trend that you forget about the long term or higher time-frame trend. E.g. Bitcoin might look like a good short on a small time frame. but if you zoom out to the daily or even the 3d candles, you'll see a totally different picture; mega bull. The idea of fractals is also related to this, where we have a "wave within a wave within a wave"
Timing is key. The trick is to know when to get in and out of the markets at the right time. Get out too early and you'll cut your profits short, get out too late and you'll lose money. This is why it's important to have the right timing. Furthermore, I'd very much rather buy some coin 5 minutes before it pumps, at a worse price, than buy it at a very good price, but having to wait weeks or months before it starts to move, not to mention the increased uncertainty of the move and risk associated with "buying the bottom". Afterall, markets are 99% watching/planning and 1% executing, so practice patience when trading, and wait for the "right time" to enter a trade and you will be rewarded handsomely. Here's a short article about trade timing and how to decide entry/exit points. Focus on not losing. To win at trading, as paradoxical as it seems, happens only after you’re able to come to the realization that it's really not about focusing on making a winning trade. Instead, what really matters is NOT losing, or at least to minimize losses, and that's your first step to winning. Lastly, it is essential that you plan your exit before you even enter a trade. If you don’t, you will be consumed by emotions before you can devise a logical and evolving strategy as the trade is “live”. Riding the waves $ETH $XMR $MAID $XEM $STR $BTS $XRP $VNL. With that, I have come to the end of my lengthy, but hopefully informative post about trading Bitcoin and Altcoins. I hope what I shared will be useful for you, and that you'll familiarize yourself with the concepts and tools, and eventually be able to apply them and make a profit trading anything from Bitcoin to altcoins, and even other money markets like forex, commodities, indices and penny stocks. Having a plan is one thing. Thank you for taking the time to read to the end of this lengthy post! It was a pleasure to share my experience and knowledge about Bitcoin and Altcoins trading, and I trust that I have sufficiently armed you with all the necessary tools and foundation to get you started on your cryptocurrency trading journey. All the best!